Let’s be honest, we all use Google’s search function many a times, daily. Whether you are researching on a topic, searching for software or finding solutions to your problems, Google is your man. 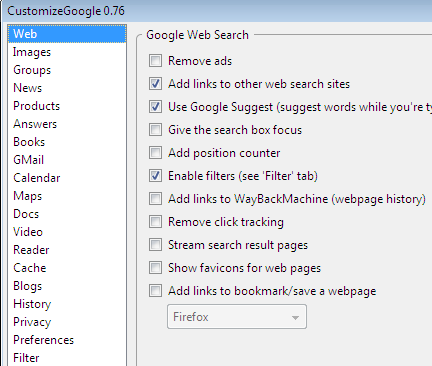 Here are some Firefox addons that will enhance the Google Search results page to offer additional information or functionality. A must have extension if you are looking to add some functionality to Google. It adds links to perform the same search on other search actions, provide Google’s “suggest” functionality and adds direct links to images from Google’s Image search. 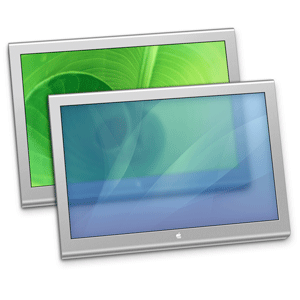 The addon is highly customizable and you can configure it by enabling and disabling features according to your liking. In addition to Google search, it also lets you customise other Google services. Another great addon, Google Enhancer offers some pretty neat enhancements. 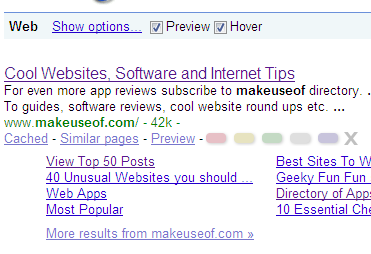 The addon adds icons, numbers, highlighting and various search options to the Google Results page. One of my favorite addons, Webmynd allows you to spread your search to different sources from the same Google query. The results are displayed as a sidebar on the right side of the Google Search Result page. You can add all your favorite services like Twitter, YouTube, Wikipedia, Digg, Yahoo, Delicious etc. The GooglePreview addon adds thumbnail previews and popularity ranks of the websites to Google’s search results so you can check them out before clicking on the individual results. Allows for easier navigation of Google results with the help of mousewheel. You can also get a preview of the search result when you mouse over any result, and mark the results in color or remove them from the list. The addons displays a wikipedia article relevant to the Google search you just made. It is great for research on a topic as clicking a link sends another Google query in addition to opening the said Wikipedia page. 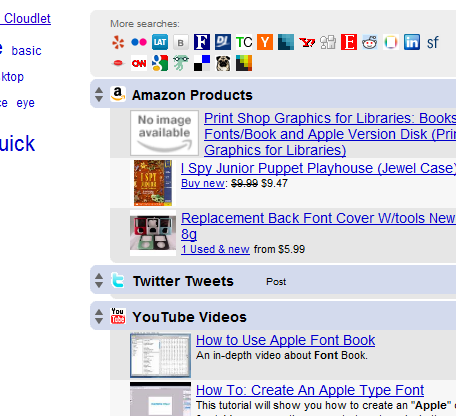 Inserts tag clouds on Google, Yahoo and Twitter search result pages to help discover better search terms related to yours. Click on them to further narrow or specify your search. 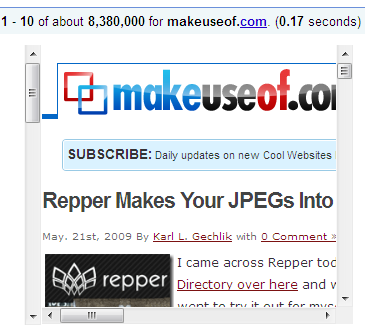 This addon adds a YouTube icon to the relevant Google search results. Clicking on the icon opens the YouTube video on the same page for your viewing pleasure. The simple addon lets you go back to the last Google search that you performed in the current, active tab. The addon adds preview thumbnails, site info, “Wayback Machine” and “Open in new window” links to the Google search results. The Google Toolbar lets you search your favorite sites from the toolbar, provide search suggestion and easier access to other Google services as well. If you liked this article, be sure to check out DeeperWeb as well. Did we miss any one of your favorites that you can’t live without? Why not mention them in the comments?